Received the following via email. The photographer was not identified. First picture was taken on 11/2/11 and last 2 pictures on 11/18/11. Construction and in-service photographs of just-completed Closed Spandrel Concrete Elliptical Arch Bridge project on the historic Strasburg Railroad (now in its 180th year). The line has been operated as a steam-powered tourist attraction near Lancaster, PA for over a half-century. 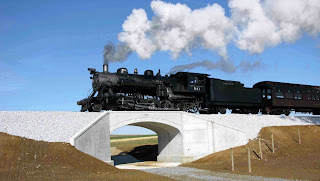 The blue-sky day photo of Great Western #90, a steam locomotive built in 1924 crossing the newly-opened span, with its 2011 build date cast into the concrete of the arch's crown, is a bit of a chronological mind-bender! The Black River Railroad Historical Trust will be operating Santa Trains out of Flemington, NJ on the next 4 Sundays: 11/27, 12/4. 12/11, and 12/18. Santa and his elves will go through the train greeting each child and present them with a candy cane. Round-trip trains depart the Flemington PRR station each day of operation at 11:00 AM, 1:00 PM, and 3:00 PM. The round-trip is approximately 85 minutes. For more information, please see the following web site. 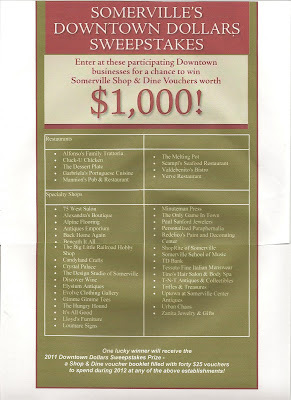 Avoid the crowds at the malls by coming to the Big Little Railroad Shop in downtown Somerville on "Black Friday." We have all sorts of wonderful model railroad items from full sets to individual cars, locomotives, track, buildings, scenery supplies, etc. If you don't know exactly what to get your modeler, we have gift certificates. We also carry books, videos, and calendars. We have items in all the popular scales: G, O, HO, and N. And, if we don't have what you want in stock, we probably can order it for you. In addition to a full line of model railroading "stuff," The Big Little Railroad Shop carries plastic model kits for airplanes, ships, automobiles, and military vehicles. We also have Ninco slot cars. New this year, we have a variety of science kits. We are located at 63 West Main Street in Somerville, NJ. Phone: 908-685-8892. 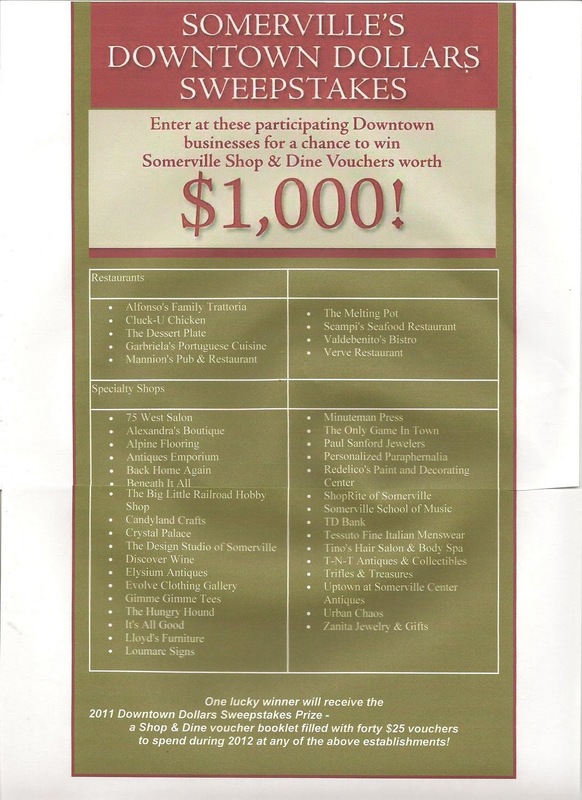 Received a flyer via email about above titled sweepstakes. Tried to reproduce the flyer for this blog post, but it didn't turn out too well. To see the flyer full size, click on the picture. Then use your browser's BACK button to return here. 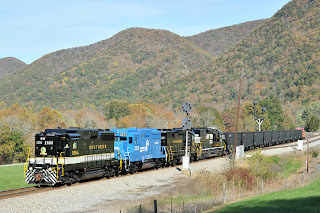 Norfolk Southern SD40-2 #6103 from NS Corp. Unable to determine the source of the N&W caboose. Don't know exact locotations of photos. Believe the photographer was Casey Thomason, a NS employee. To see a photo full size, click on it. Then use your browser's BACK button to return here. been included on the G.I. Jobs annual ranking, which recognizes businesses that emphasize the recruitment of U.S. military veterans, since 2006. "Hiring veterans is both an honor and a patriotic duty for CSX, and something we are committed to continuing," said Michael Ward, CSX chairman, president and chief executive officer. "Our military veterans prove themselves exceptional employees, and their hard work helps us to continue delivering quality service to our customers." With nearly one in five employees a veteran of the armed services, CSX recognizes the integral role that veterans play. With their leadership, critical thinking, technical and problem solving skills, veterans typically have the invaluable skills CSX actively recruits. Earlier this year, CSX was also one of 15 recipients, and the only two-time recipient, of the Secretary of Defense Employer Support Freedom Award, chosen from more than 4,000 applicants. This award recognizes employers that support active duty reservist employees. CSX's relationship with U.S. troops extends beyond the hiring of America's servicemen and women. The military is also a valued customer, as CSX serves more military installations than any other Class I Railroad. The annual G.I. Jobs rankings examine more than 5,000 American businesses with more than $500 million in annual revenues. G.I. Jobs ranks these businesses based on dedication to military hiring, percentage of new veteran hires, and internal recruitment programs, among other outreach activities. To view the full list of G.I. Jobs' 2012 Top 100 Military Friendly Employers, please visit http://www.gijobs.com/2012Top100.aspx?i. CSX Corporation, based in Jacksonville, Fla., is one of the nation's leading transportation companies, providing rail, intermodal and rail-to-truck transload services. The company's transportation network spans approximately 21,000 miles, with service to 23 eastern states and the District of Columbia. CSX's network connects more than 240 short line and regional railroads and more than 70 ocean, river, and lake ports. More information about CSX Corporation and its subsidiaries is available at http://www.csx.com/. Following article is from The Pottstown Mercury newspaper serving Pottstown, PA.
POTTSTOWN — Work on refurbishing passenger rail cars for the luxurious Greenbrier Express has stopped, and 21 of the workers there have been laid off, the entrepreneur in charge of the project has confirmed. 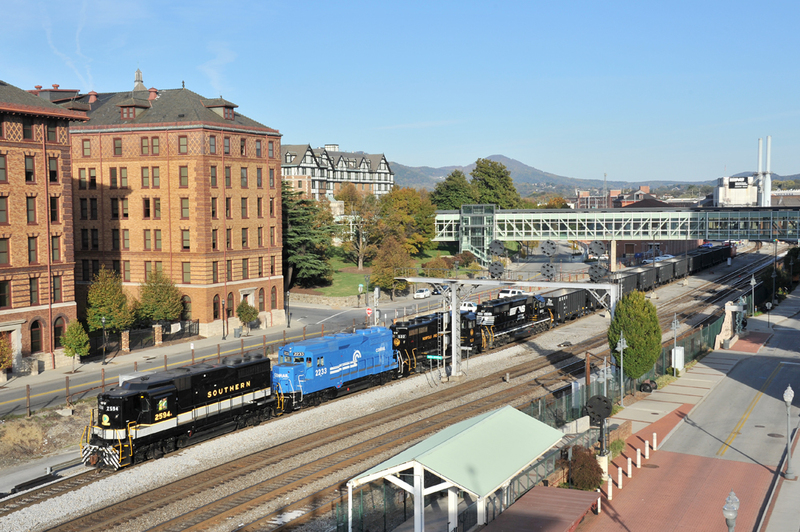 Ross Rowland, who in February began hiring workers to refurbish 15 passenger cars in a portion of the former Bethlehem Steel plant to be used on an exclusive luxury rail line between the resort and Washington, D.C., confirmed the news this week. Crews had just about finished all the demolition work on the inside of the cars and were getting ready to prepare the cars for the second phase, installing the new interiors. 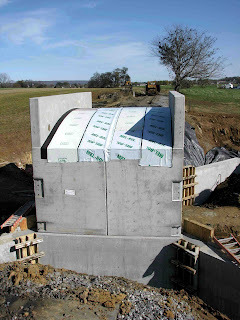 The problem, Rowland said, is rules issued by the Federal Railroad Administration that require that the equipment and furnishings in the cars be designed to withstand extremely high impacts. Rowland said Jim Justice — the West Virginia billionaire who owns and is restoring the 710-room, 200-year-old resort at Greenbrier — “decided to put the project on hold” until the impact of the regulations can be fully analyzed. The engineering workers are being kept on, re-designing the interiors of the rooms to meet the new regulations, for when — or if — the project gets a green light to move forward. “They’re getting things ready,” said Rowland, who has been involved with railroads all his life and is perhaps best known for helping stage the American Freedom Train. During the 21 months surrounding America’s bicentennial, the 25-car American Freedom Train, packed with more than 550 original documents, artifacts and memorabilia on loan from the National Archives and 285 lenders, brought American history along 25,000 miles to 138 cities and seven million paid visitors. Rowland, who knew presidents Richard Nixon, Gerald Ford and Ronald Reagan, said the work stoppage is “absolutely” an example of government over-regulation costing jobs. One of those jobs was held by welder and fabricator Mark Carlson of Honey Brook. “I joined up for one reason and that was to do something great,” said Carlson. Railroads have been a vital component of American history ever since their invention. They symbolize industrialization, human ingenuity, migration, trade, exploration, and much more. Americans value this greatly, and they show this through the vast array of museums, preservation efforts, festivals, and events dedicated to railroads and railroad history. 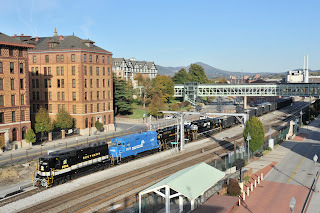 For instance, the National Railway Historical Society holds an annual convention in various cities around the nation where attendees can take heritage tours of local sites, among many other activities. In 2012 it will be held in Cedar Rapids, Iowa from June 18th-24th. Snoqualmie, Washington also holds an annual event titled Railroad Days, which occur around the historical Snoqualmie Depot train station. This festival not only teaches participants about the history of the vintage Snoqualmie railroad, it also allows them to experience it firsthand through train rides to the Snoqualmie Falls viewpoint. On Labor Day weekend of this year, the Norfolk Southern Corporation and the Tennessee Valley Railroad Museum joined forces to bring steam engines back to the Norfolk Southern Rails in the “21st Century Steam” program, featuring passenger excursions on the restored Southern Railway 630 steam locomotive. Similarly, at the 2011 Rail Fest event in North Platte, Nebraska, Union Pacific’s classic Steam Locomotive No. 844 made an appearance. Additionally, it was made a part of New Mexico and Arizona’s state centennial celebrations which took place this year. It was built in 1944 and later made obsolete by the diesel-electric train, but Union Pacific decided to bring it out of retirement in 2000 for historical, commemorative purposes. Amtrak has also put on historical railroad events, such as an exhibit on the importance of railroads in the Great Migration. This period in the early 20th century witnessed heavy migration of blacks from the Southern states to northern cities to seek employment in the new, booming industrial job market. The migrants traveled mainly by passenger train or by hopping on freight trains. Amtrak’s exhibit consisted primarily of historical documents and photographs showcasing the strong connection between this era and the railroad industry. To celebrate its own history, Amtrak created an exhibit train with a museum inside of it, chronicling the company’s history and displaying memorabilia. The train toured the United States to mark Amtrak’s 40th anniversary. These events highlight just how much effort is put into preserving, restoring, and showcasing historical trains, railroads, and train stations – all for the sake of allowing Americans to experience railroad history and learn its importance in the most authentic way possible. It is also done in a fun, accessible manner. As railroads represent so much of what America stands for and is all about, these efforts are highly pertinent and warranted. 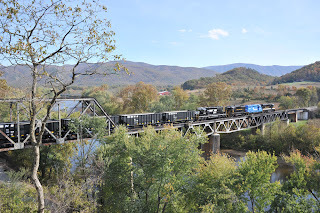 If you are a railroad enthusiast, you are certainly in luck when it comes to finding events to attend to pursue your interest in the subject. We have acquired a large consignment of "pre-owned" Lionel equipment - about 200 pieces. Some of these items are still in unopened, original boxes. A few of the items are from the MPC/General Mills era (1969 -1986), but most are from 1987 up to today. The best way to find out more about this equipment would be to come into the store. Otherwise, you can phone or send an email. Contact information is at the top of the sidebar on the left. NORFOLK, VA. – Norfolk Southern is supporting ethanol shippers with a new virtual inventory management and delivery system that can cut in half the time it takes to transload shipments at Thoroughbred Bulk Transfer (TBT) facilities. The new system, the first of its kind in the rail industry, combines ethanol shipments from multiple customers into a single inventory in a process called comingling. This expedites transloading operations by enabling trucks to access ethanol from any rail car when they arrive at the terminal. Since the system was implemented in October 2010, NS has increased the efficiency and capacity of its TBT comingling facilities. For example, at Alexandria, Va., the transload process dropped from an average 90 minutes to just 30 minutes. Customers can access real-time information on shipments through the enhanced NS Ethanol Dashboard, a component of the new inventory system’s software developed by NS’ e-commerce team. The Web-based application tracks the quantity of ethanol each shipper uses and automatically updates inventory levels, monitors shipments in transit, and provides access to historical data. Truck arrival and departure times also are recorded. In addition, NS monitors each customer’s supply chain, sends automated alerts if inventory levels are low, and in some cases assists with purchasing. So far, more than 150 million gallons of ethanol have been transloaded using the new system at Norfolk Southern TBT facilities at Doraville (Atlanta), Pineville (Charlotte), N.C., and Alexandria, and Petersburg, Va. NS also will offer the new inventory system at its recently opened TBT at Pottstown, Pa., and in Roanoke, Va., scheduled to open in January 2012. Norfolk Southern serves 22 ethanol production plants that manufacture 2.16 billion gallons of ethanol annually. 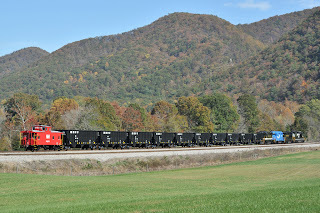 In 2010, NS transported 2.13 billion gallons of ethanol, about 16 percent of the total U.S. production, through a network of 75 facilities strategically located to serve suppliers and consumers in the eastern and southern U.S.
Norfolk Southern plans to hire 500 employees in eight states. 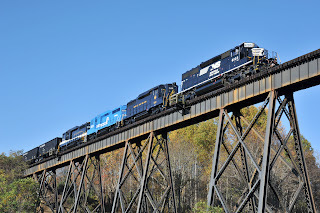 NORFOLK, VA. -- Norfolk Southern Corporation plans to hire 500 employees in eight states by the end of 2011 to meet the growing demand for freight rail service and to replace employees retiring in coming years. *Employment information sessions are scheduled at these locations. Most of the jobs involve working outdoors and at night, on weekends, and holiday shifts. 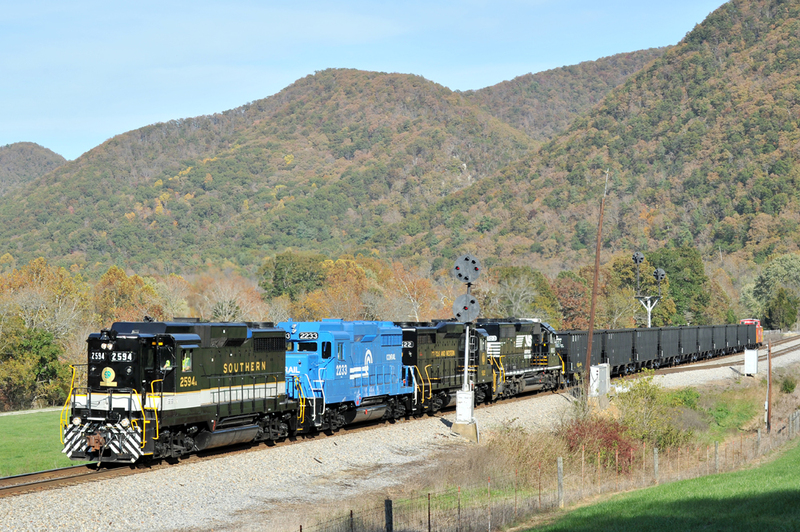 Substantial travel might be required to help keep Norfolk Southern’s 2,000-plus trains per day running across the railroad system. Conductor: You'll start as a conductor trainee, operate track switches, couple cars, and work on freight trains in rail yards or travel with trains. Significant travel may be involved, and you might spend a day or more per week away from your home terminal. Watch this video to learn more. This job leads to becoming a locomotive engineer. Machinist: You will inspect, repair, and maintain the engine and mechanical components of the railroad’s 4,100 diesel locomotives. Experience with welding, hydraulics, or equipment maintenance is beneficial. Signal Maintainer: This job involves the construction, repair, and maintenance of 6,000 railroad signals in 22 states. Electronics training is useful. 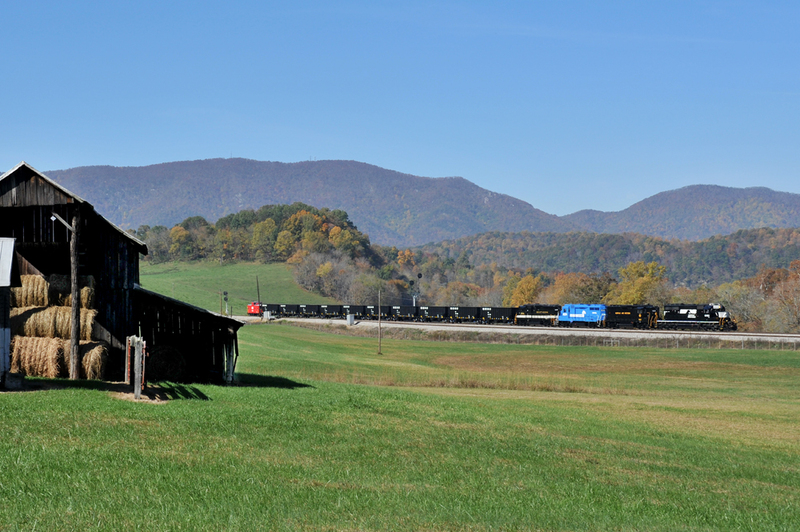 Freight Car Repairer: You'll inspect, repair, and maintain Norfolk Southern’s fleet of more than 87,000 freight cars. Experience in welding or mechanical repairs is preferred but not necessary. Track Worker: Employees inspect, maintain, and repair 36,000 miles of main line and yard tracks across the Norfolk Southern network. Interested individuals can learn more about careers in the railroad industry at three employment information sessions for job openings in Baltimore, Harrisburg, Pa., and Manassas, Va. During the sessions job candidates will complete an application and assessment and may be selected for an interview. 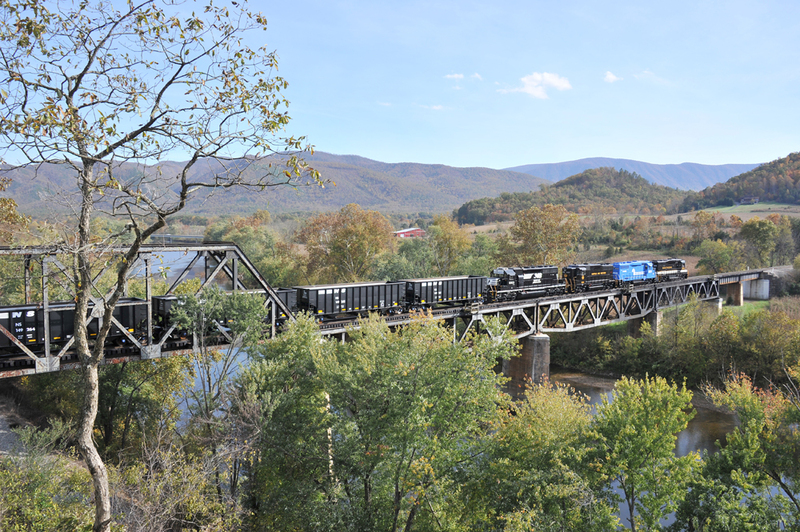 To apply for positions at other locations, visit Norfolk Southern’s careers website and complete an online application. Our employment team will notify you if you are selected to participate in the next step of the recruiting process. If you have specific questions or need assistance with the online application, call our Human Resources Help Desk at (800) 267-3313. Applicants must be at least 18 and have a minimum of a high school diploma or equivalent. Those who receive a job offer are required to successfully complete a medical exam, drug test, and background investigation. Media can request tours of local rail yards and interviews about job openings. pssst......you wanna buy a watch? If you were in the market for a watch in 1880, would you know where to get one? You would go to a store, right? Well, of course you could do that, but if you wanted one that was cheaper and a bit better than most of the store watches, you went to the train station! Sound a bit funny? Well, for about 500 towns across the northern United States, that's where the best watches were found. Why were the best watches found at the train station? The railroad company wasn't selling the watches, not at all. The telegraph operator was. Most of the time the telegraph operator was located in the railroad station because the telegraph lines followed the railroad tracks from town to town. 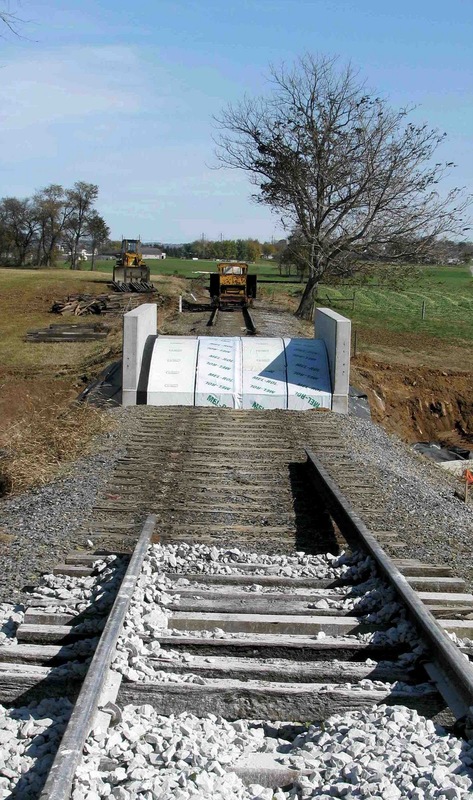 It was usually the shortest distance and the right-of-ways had already been secured for the rail line. Most of the station agents were also skilled telegraph operators and that was the primary way that they communicated with the railroad. They would know when trains left the previous station and when they were due at their next station. And it was the telegraph operator who had the watches. As a matter of fact they sold more of them than almost all the stores combined for a period of about 9 years. This was all arranged by "Richard", who was a telegraph operator himself. He was on duty in the North Redwood, Minnesota train station one day when a load of watches arrived from the east. It was a huge crate of pocket watches. No one ever came to claim them. So Richard sent a telegram to the manufacturer and asked them what they wanted to do with the watches. The manufacturer didn't want to pay the freight back, so they wired Richard to see if he could sell them. So Richard did. He sent a wire to every agent in the system asking them if they wanted a cheap, but good, pocket watch. He sold the entire case in less than two days and at a handsome profit. That started it all. He ordered more watches from the watch company and encouraged the telegraph operators to set up a display case in the station offering high quality watches for a cheap price to all the travelers. It worked! It didn't take long for the word to spread and, before long, people other than travelers came to the train station to buy watches. Richard became so busy that he had to hire a professional watch maker to help him with the orders. That was Alvah. And the rest is history as they say. The business took off and soon expanded to many other lines of dry goods. Richard and Alvah left the train station and moved their company to Chicago -- and it's still there. ...that for a while in the1880's, the biggest watch retailer in the country was at the train station. It all started with a telegraph operator: Richard Sears and his partner Alvah Roebuck! JACKSONVILLE, Fla. - November 3, 2011 - CSX Corporation today completed the previously announced transaction with the State of Florida to sell a 61-mile rail corridor for the SunRail commuter railroad. 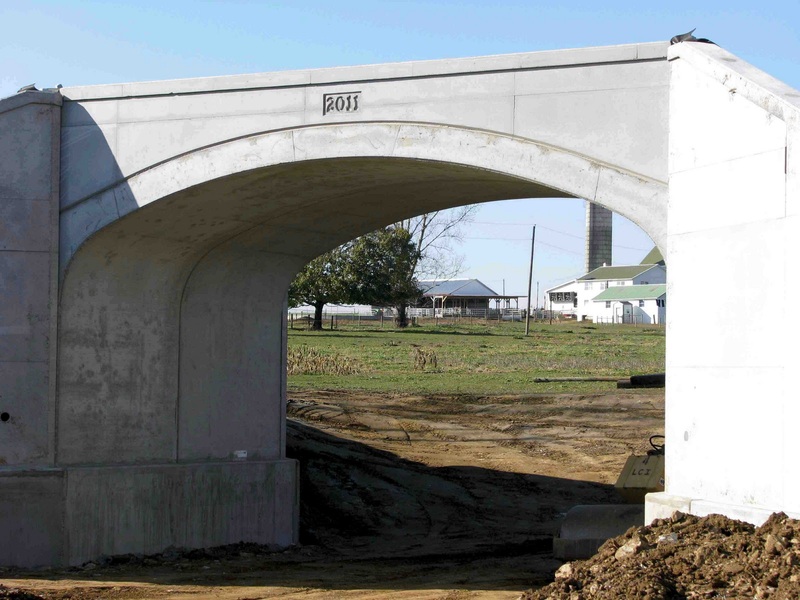 The commuter system is expected to begin initial operations in 2014 in a corridor along Interstate 4. SunRail will serve the Orlando area as well as Volusia, Seminole, Orange and Osceola counties. Under the agreement, CSX will retain an exclusive freight easement to operate on the SunRail line in order to continue to provide all common carrier services to its customers. "Today's closing represents a significant milestone in this public-private partnership that accommodates Central Florida's need for a transportation alternative to congested highways, while preserving and expanding environmentally friendly and efficient freight rail capacity," said Louis Renjel, vice president-strategic infrastructure. CSX Corporation, based in Jacksonville, Fla., is one of the nation's leading transportation companies, providing rail, intermodal and rail-to-truck transload services. The company's transportation network spans approximately 21,000 miles, with service to 23 eastern states and the District of Columbia. CSX's network connects more than 240 short line and regional railroads and more than 70 ocean, river and lake ports. 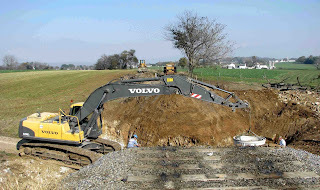 More information about CSX Corporation and its subsidiaries is available at http://www.csx.com/. JACKSONVILLE, Fla., (November 2, 2011) - Oscar Munoz, CSX Corporation (NYSE: CSX) executive vice president and chief financial officer, will address Baird's 2011 Industrial Conference in Chicago on Wednesday, November 9, 2011, at 9:30 a.m. CST/10:30 a.m. EST. 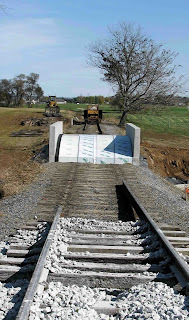 Access to the audio webcast will be available on CSX's website at http://investors.csx.com/. A replay and accompanying audio will be available following the conclusion of this event. JACKSONVILLE, Fla. - October 31, 2011 - CSX today announced the release of a new iPhone application, ShipCSX. 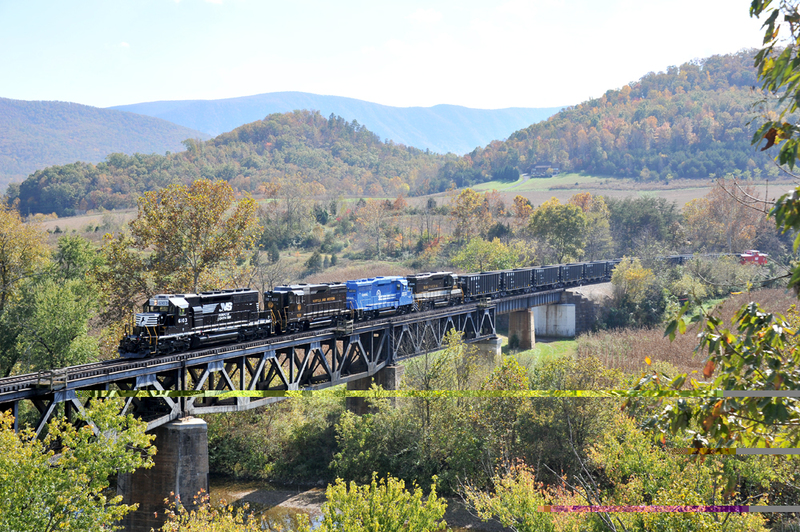 The application allows CSX customers to track freight shipments and trains across the CSX network. It also provides customers with specifications of rail cars such as equipment dimensions and weights. The app is a highly anticipated addition to CSX's e-commerce tools, and bolsters the company's commitment to provide reliable service to customers. "The ShipCSX application makes planning and tracing shipments easier than ever, enabling customers to better plan for the arrival of scheduled shipments" said Eddie Chesser, director e-business CSX. 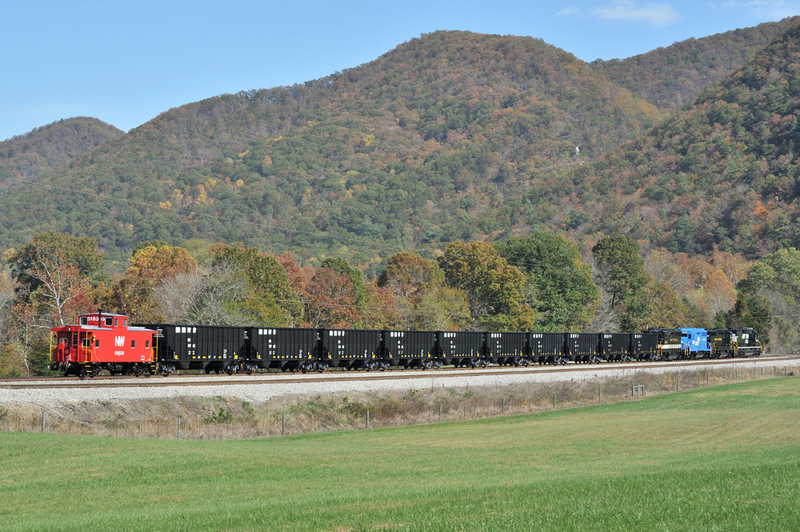 "Designed with our supply chain and logistics-conscious consumers in mind, this application continues our commitment to make rail the most cost-effective and environmentally-friendly way to move freight." The ShipCSX app provides CSX customers anywhere/anytime access to updates on the status of their rail shipments via a simple smartphone interface. Customers can retrieve up-to-date information about their shipments, including estimated times of arrivals and movement history. The ShipCSX app will allow customers to better plan operations surrounding the arrival and use of the goods shipped via CSX rail lines. The application is available for free through the iTunes store, and currently works on iPhone, iPad and iPod Touch devices, and more options are soon to come. "CSX is working to add more functionality to the app, as well as an Android-compatible version," said Steve Watkins, director of technology applications, CSX. ShipCSX is designed for CSX customers only, and requires a secure login ID and password to access information. For more information on obtaining a login and password, customers can contact the ShipCSX team at 1 (877)-ShipCSX or at http://www.shipcsx.com/. 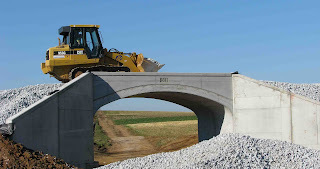 Follow CSX on Twitter (http://twitter.com/CSX) and Facebook (www.facebook.com/OfficialCSX).